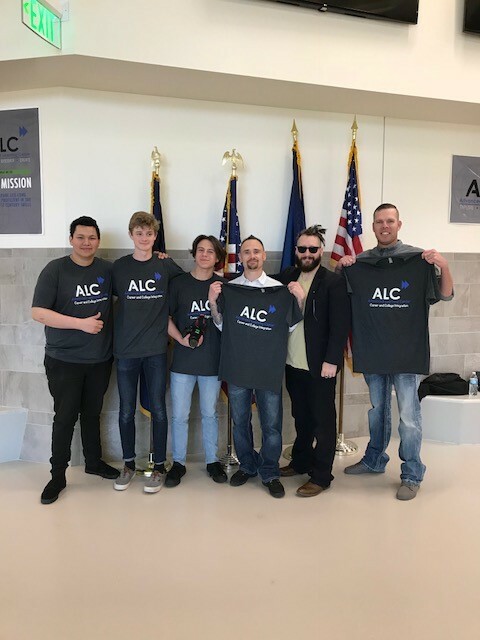 ALC students, Tyler Austin, Isaac Hodson and Jesse Garcia, completed a mini documentary for Building Beginnings and Division of Workforce Services. Building Beginnings is a nonprofit organization designed to help those in recovery from drugs and alcohol. They provide employment, transportation to work, case management, affordable housing, and out-patient treatment for those dedicated to staying sober, working hard, and supporting the team. This documentary will be used by the company to promote their non-profit efforts and by DWS to demonstrate the success of the business to encourage other business owners to work towards a similar approach to highering. This Documentary recently won 3rd place in The Utah High School Film Festival. Special Thanks to Brett Griffiths, Ryan Hymas, Nic Carrol, Lynette Zeeman, & Jennifer Webster for taking time to be interviewed. Thank you to Ronda Hair for arranging all of this.